A three-year project dubbed "Capacity Development for Agricultural Innovation Systems (CDAIS)", supported by the European Union has been launched. The Euros 14 million (more than Rwf11bn) project is expected to enhance efficient and sustainable agriculture innovation systems in eight countries including Rwanda. 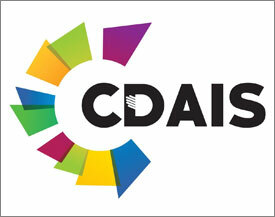 CDAIS is also aimed at making agriculture more productive and sustainable, improving the livelihoods of smallholder farmers and helping to increase food security and fight rural poverty. The project is funded by the European Union and jointly implemented by AGRINATURA-EEIG (a consortium of major European universities and research centres involved in agricultural higher education and research for development) and the UN's Food and Agriculture Organization (FAO). The beneficiary countries include Bangladesh and Laos in Asia, Angola, Ethiopia, Burkina Faso and Rwanda in Africa, as well as Guatemala and Honduras in Latin America. Speaking at the inception workshop of the project in Kigali yesterday, Arnaud DE Vanssay, the second secretary to the head of rural development section at the European Union, said there is a need to link agricultural research with innovations in the sector to boost productivity. He said, "What is interesting is that Rwanda has done a lot to improve agriculture sector. However, there is still a lot of potential that needs to be taped. This requires linking research with innovations to make sure we embrace climate smart agriculture to boost productivity." Innocent Musabyimana, the permanent secretary at the Ministry of Agriculture and Animal Resources (MINAGRI), said several initiatives have been put in place to boost agricultural innovations, but added that there is still a lot to do to help farmers engage in innovative and technology-based production. "We have come up with various innovative practices that aim to boost agricultural productivity but we still need to enhance them. "For instance, we have the Twigire Muhinzi programme where farmers are equipped with skills on best agronomic practices. However, they need to acquire new technologies that can complement the practical skills they have so that they can boost productivity through simple and affordable technologies," he said. Attaher Maiga, FAO representative to Rwanda, said there is a need to foster innovations in agriculture to boost productivity and ensure equitable benefits to actors along the value chain. "This would help the country cope with the dynamic interaction of socio-economic and environmental factors that are increasingly transforming agriculture such as the global markets, urbanisation, agriculture commercialisation and intensification," he said.